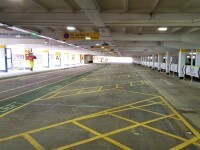 Services/facilities within the venue include Short Stay parking, Premium Parking, Arrivals Pick Ups. For the Terminal 2 Departures Check-In DisabledGo access guide please click here (new tab). 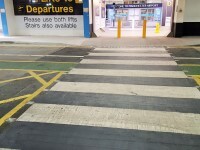 For the Terminal 2 Arrivals Hall DisabledGo access guide please click here (new tab). 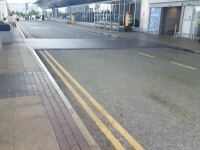 For the Terminal 2 - Drop Off DisabledGo access guide please click here (new tab). 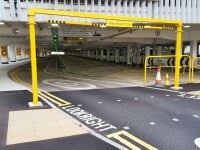 This car park can be accessed from Terminal 2 Departures Check-In and Terminal 2 Arrivals. You are on Drop Off. Skip to the next section. 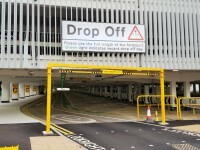 The Terminal 2 Drop Off Zone is located on Level A of the T2 Multi Storey Car Park, close to the Level A entrances and lifts. 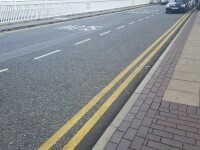 It is accessed from Palma Avenue to the side of the car park. 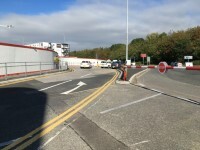 The entrance has a height restriction of 2.2 metres. 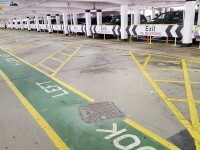 The drop off bays are clearly marked. 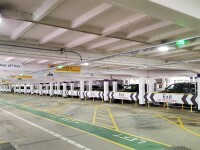 Bays that are unoccupied are indicated by green lights. 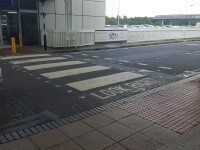 There are pedestrian crossings from the drop off points to the Level A entrances and lifts. These have dropped kerbs without tactile paving. 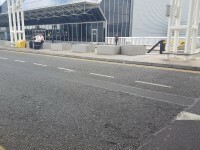 The lifts and stairs at the entrances can be used to access Departures on Level D.
There are also pedestrian crossings to the terminal building from the car park. 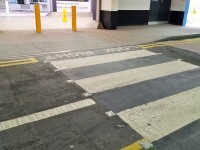 These crossings have tactile paving. You are on Exit Barriers. Skip to the next section. 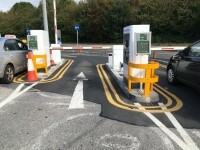 There are automatic barriers at the exit of the drop off area. 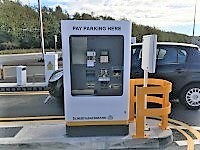 The payment machines at these barriers accept cash both coins and notes, debit and credit cards including contactless payments. There is a telephone call button on the pay machine with a hearing loop to gain assistance if required. 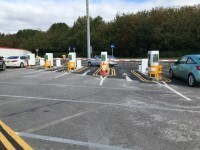 To avoid delays Blue Badge holders are requested to speak to the on duty parking marshals before driving to the barrier, who will authorise exiting free of charge. The nearest accessible toilet(s) is/are located Terminal 2 Departures Check-In. The nearest standard toilet(s) is/are located Terminal 2 Departures Check-In.